All promos, featurettes and posters can be found here aswell as newly released photos from Episode 1.01 here. The one-hour drama series WESTWORLD kicks off its ten-episode season SUNDAY, OCT. 2 at 9:00 p.m. (ET/PT), exclusively on HBO. 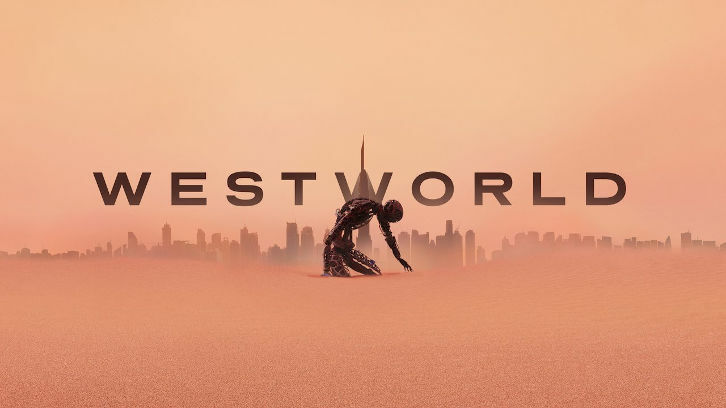 Created for television by Jonathan Nolan (“Interstellar,” “The Dark Knight,” “Person of Interest”) & Lisa Joy (“Pushing Daisies,” “Burn Notice”), both of whom are executive producing and writing, with Nolan directing, the series is based on the 1973 film “Westworld,” written by Michael Crichton. Set at the intersection of the near future and the reimagined past, WESTWORLD is a dark odyssey about the dawn of artificial consciousness and the evolution of sin, exploring a world in which every human appetite, no matter how noble or depraved, can be indulged. Teleplay by Jonathan Nolan & Lisa Joy; story by Jonathan Nolan & Lisa Joy and Michael Crichton; directed by Jonathan Nolan. Written by Jonathan Nolan & Lisa Joy; directed by Richard J. Lewis. Written by Daniel T. Thomsen & Lisa Joy; directed by Neil Marshall. Teleplay by Lisa Joy; story by Dominic Mitchell & Lisa Joy; directed by Jonny Campbell. WESTWORLD is based on the film written by Michael Crichton. Production companies, Kilter Films, Bad Robot Productions and Jerry Weintraub Productions in association with Warner Bros. Television. Executive producers, Jonathan Nolan, Lisa Joy, J.J. Abrams, Jerry Weintraub, Bryan Burk.